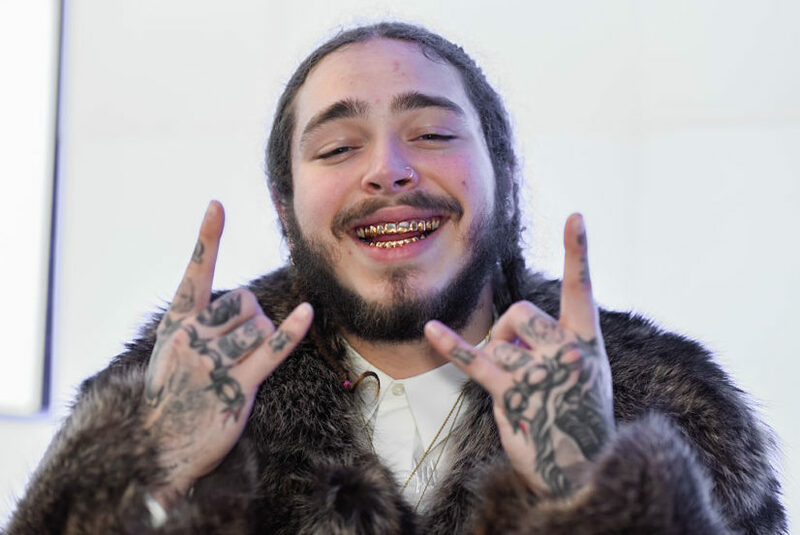 Fans of Texas musician Post Malone are probably used to seeing him tattooed up from head to toe. So the idea of seeing him completely ‘tattooless’ is a foreign concept. Do they even want to see a picture of what the Rockstar and Celebration hitmaker looks like without tattoos? Well, it looks like whether they want to or not, there’s a picture of Post with not one hint of art on his body and it comes courtesy of friend and international pop star Justin Bieber. Posting a picture on June 30, of Post via his Instagram account, ‘the Biebz’ shows a clean, fresh-faced Post with his little brother. It is unclear when the picture was taken. The two have been close friends since Post dropped his breakthrough single White Iverson, which had the adulation of both the hip-hop and pop scene. A post from June 29 this year, shows Bieber and Post Malone together. 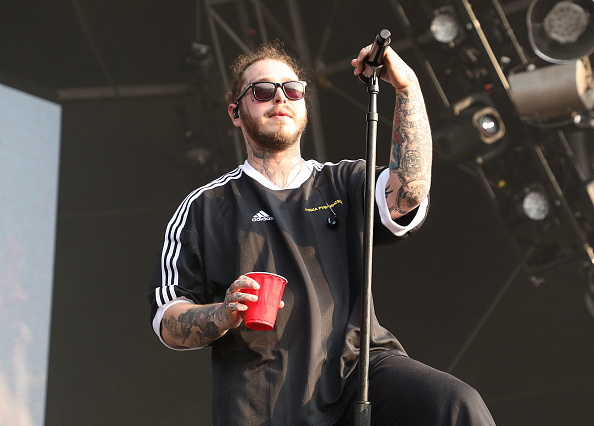 On June 8, this year, Post Malone revealed his latest face tattoo. No stranger to getting ink on his cheeky mug, his latest piece spoke volumes. The tattoo was revealed on Instagram by Minneapolis-based photographer and videographer Adam DeGross. In DeGross’ Instagram bio, he describes himself as Post’s personal tour photographer, which means part of his job is to document the rapper and singer-songwriter’s life on the road. In one of his posts, he shows an intimate look at Post getting hooked up with some sweet new ink by tattoo artist Chad Rowe. As you can see from the DeGross’ post, Post Malone had the words ‘Always Tired’ tattooed underneath his eyes. Rowe, who works out of New Castle, Indiana, also posted the picture on his Instagram account. Yesterday was one of the most surreal moments of my entire life. I had the absolute honor to tattoo @postmalone and his crew, and even had the man himself TATTOO MY HAND .I really dont even know how to explain the entire situation. So if you want to hear the story message me to book your next tattoo or come into the shop. Thanks again to everyone in the Post tour. I love you guys . And thank you to everyone who follows me in my journey. You make this possible. This is life-changing. This isn’t the first tattoo Post Malone has had inked on his face. Around his head, he’s got a crown of thorns (á la Jesus Christ) and above his right eye, he has the words ‘Stay Away’, which is next to a design of a crucifix. While the concept of face tattoos may appear unorthodox and unconventional, it is increasingly popular among those who immerse themselves in tattoo and street culture. Established Hip-Hop artists like The Game, Nipsey Hussle, SchoolBoy Q and Dave East are well known for sporting face tattoos, while the younger generation of internet rap stars have also jumped on the trend. In the case of The Game and Nipsey Hussle, the face tattoo is synonymous with their ties to LA gang culture, in particular, the Crips and the Bloods. Remember kids, tattoos aren’t just for Christmas – they’re for life. Until you can afford the laser surgery that is.